The client, a newly formed league of curlers, was full of curlers who had been playing the sport for 3 years or less. While very enthusiastic about the sport, the members of the league were finding that it was difficult to participate in bonspiels as their skill level was not as advanced as other participants in local tournaments. The client decided to run their own tournament specifically for new curlers. 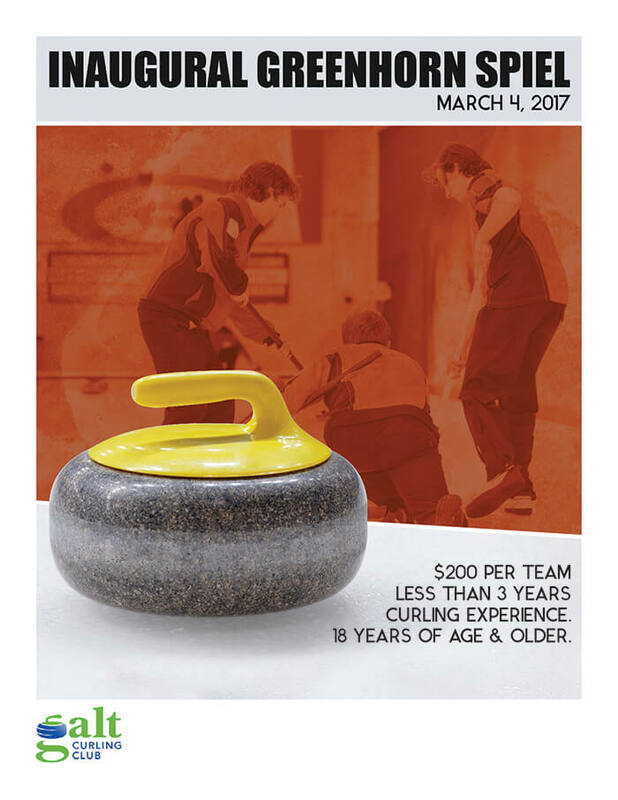 A promotional poster was needed that could be placed in surrounding local curling clubs to help get new curlers to register for the spiel. This poster was designed to be eye catching and to stand out from other curling spiel posters. It uses action shots and imagery that is familiar to curlers, while providing clear information that will be easy and quick to read. Contact information has been removed from poster. The spiel sold out within a couple of weeks, with the majority of participants not belonging to the local curling club that was hosting the spiel.